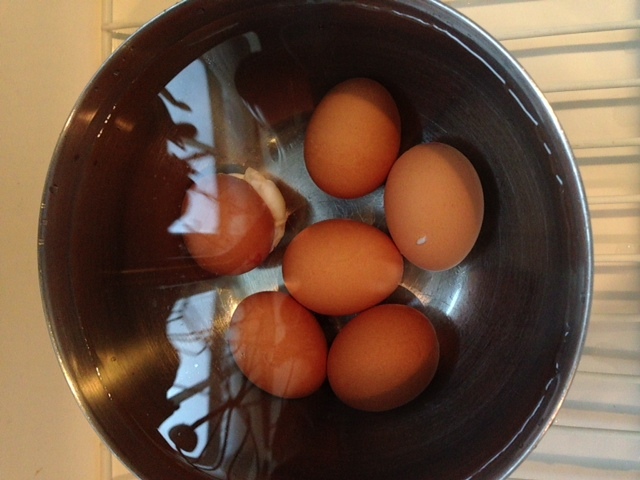 As I made my breakfast this morning, I thought it might be a good idea to share how we make perfect “hard boiled” eggs. 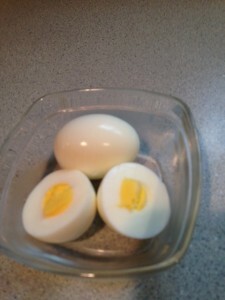 Since great minds think alike, my friend, Michelle (AKA NomNom), did a post on hard boiled eggs this morning too! I have quotes on the title of this post because to get a perfect result, you don’t boil the eggs at all! The perfect egg is steamed, not boiled. That’s right – you heard it here first! I only know this because my husband went to culinary school (i.e. I am totally spoiled). 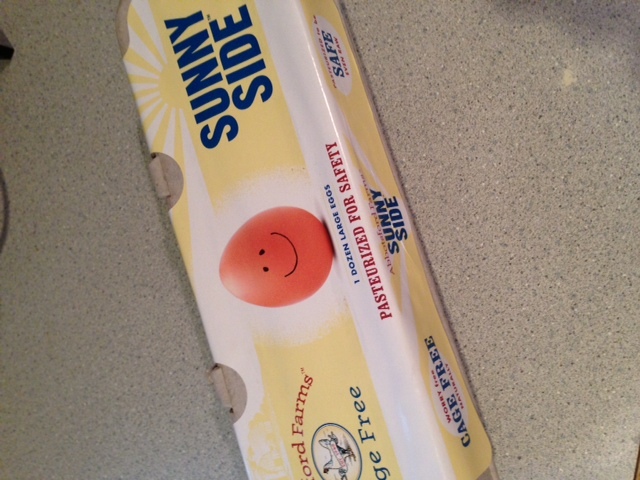 Step 1: Start with high quality eggs. 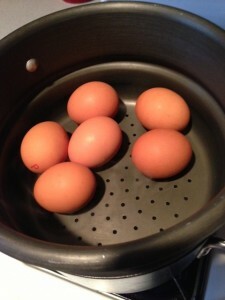 Step 2: Place the eggs in a steamer basket while you boil a small amount of water in the bottom pot of the steamer. 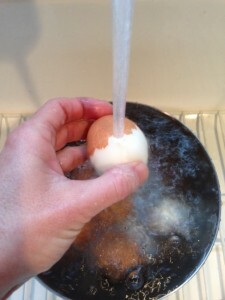 Step 3: Once the water is boiling, place the steamer basket with the eggs on top of the pot of water. Place the lid on top. Step 4: Set timer for 15 min. 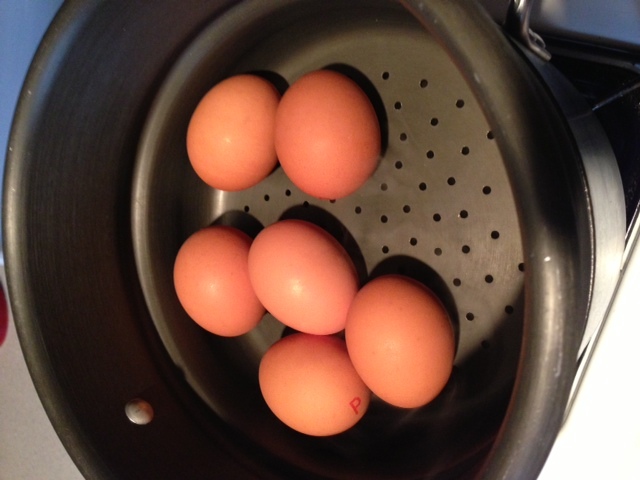 Step 5: When timer goes off, take steamer basket out, place eggs in a bowl of very cold water. 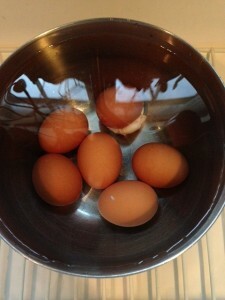 Step 6: Tap each egg on the counter to crack the shell. Return to the bowl of cold water. 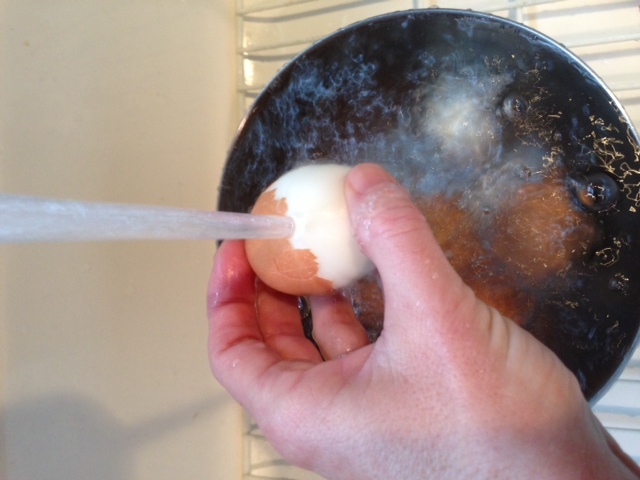 Run cold water over each egg as you peel it, sliding your finger under the membrane and lifting it off along with the shell. Have you ever heard of this method before? Let me know how it goes when you try it! Egg internals solidify at 70c. If you warm them up more, say almost 100c (from being submerged in boiling water) then they will solidify even more. The hotter you make them the more rubbery their texture will become. 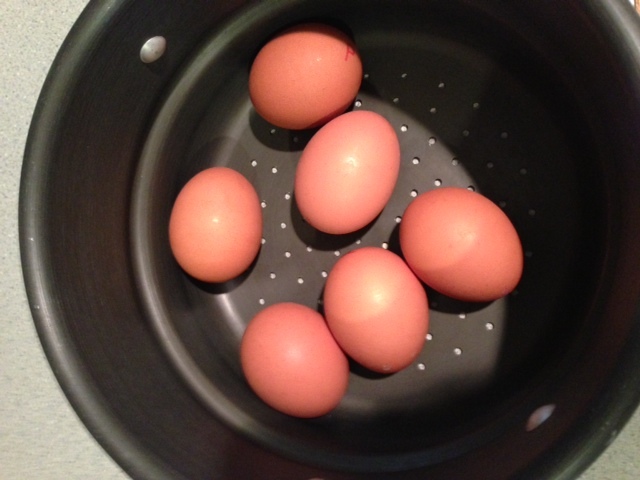 The trick is to “boil” your eggs close to 70c. 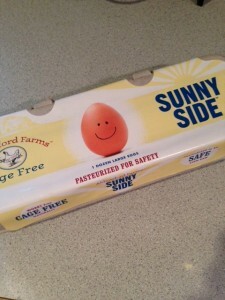 Then they will still feel and taste like egg instead of a rubbery egg ball. I have no idea what the temperature of the steam will be once it touches the egg, but i’m guessing it’s lower than boiling water. So that is an improvement. Personally, I puts eggs in cold water. Heat it up, right to point where it boils, turn the stove off, and let them sit for 4 minutes (soft boiled) or 6 minutes (hard boiled) with a lid on it. Thanks for sharing, Gerard! Many ways to get the perfect egg! I use the same method. I ran across the idea of steaming eggs last year somewhere on the internet. I tried it and it worked like a charm. No more difficulty peeling my hardboiled eggs. I don’t peel mine right away. 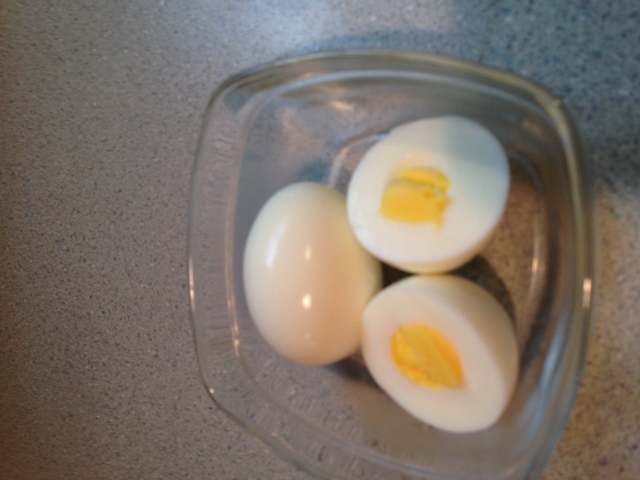 I keep them in the shells and peel as needed since I am the only one in my household that will eat hardboiled eggs. I have stored them up to 2 weeks that way without a problem. Thanks for commenting, Kelly! I eat them so fast they never make it past a few days…I already ate all 6 that I made yesterday!